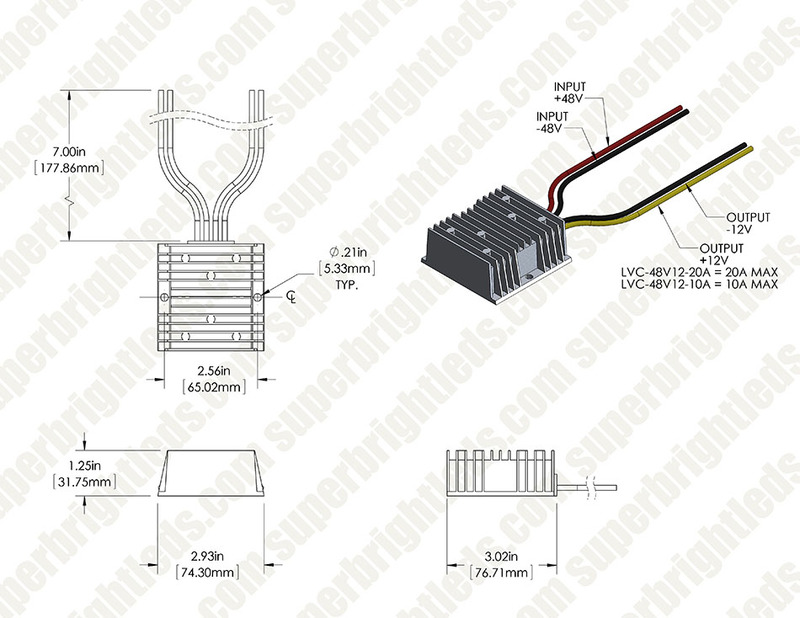 Forklift Voltage Reducers - 36/48 Volt to 12 Volt Converters: 360° View. 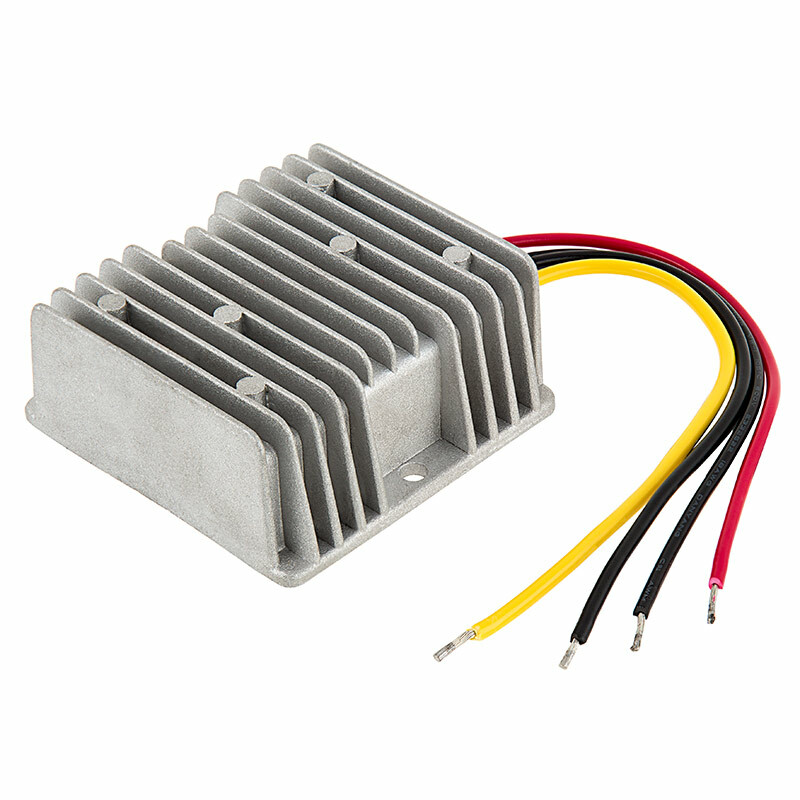 Forklift voltage reducers allow you to connect 12-volt LED work lights to any 36-volt or 48-volt forklift, including Crown, Yales, Kion, and Jungheinrich makes and models. 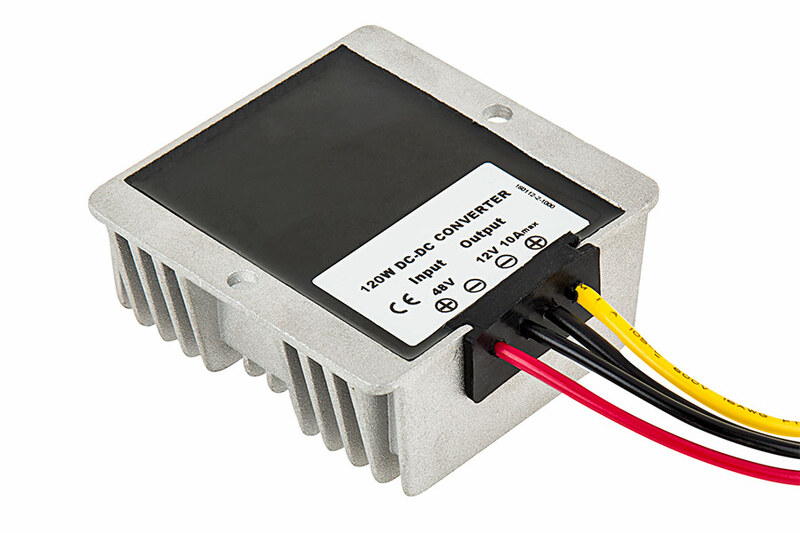 These 36-/48-volt to 12-volt converters are designed to draw power from all batteries simultaneously, which prevents rapid draining of an individual battery. 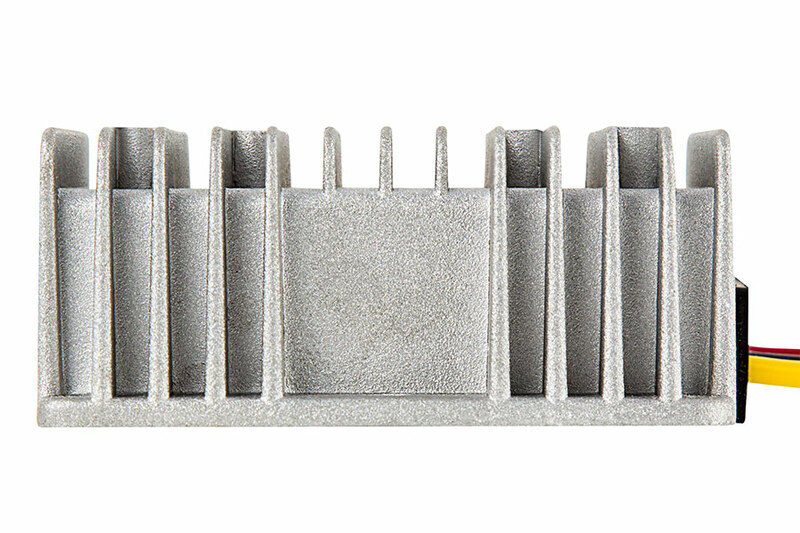 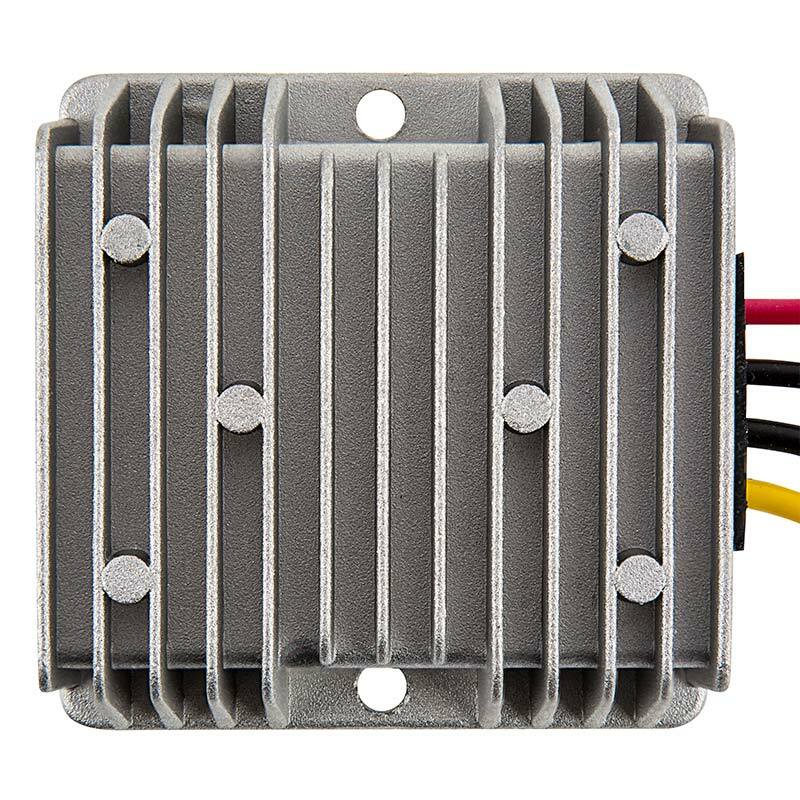 The 10-amp (10,000mA) or 20-amp (20,000mA) waterproof converter is constructed of durable die cast aluminum with screw holes for surface mounting.